Natural, non-steroid creams: surprising benefits for adult and baby eczema! Natural creams: surprising benefits for adult & baby eczema! Using non-steroid creams for eczema is an area that I’ve recently been researching, as coming from a 12 year history of steroid creams, I know firsthand the inefficiency of using regular topical steroids long-term…and I’m sure most of you with adult or baby eczema can agree! 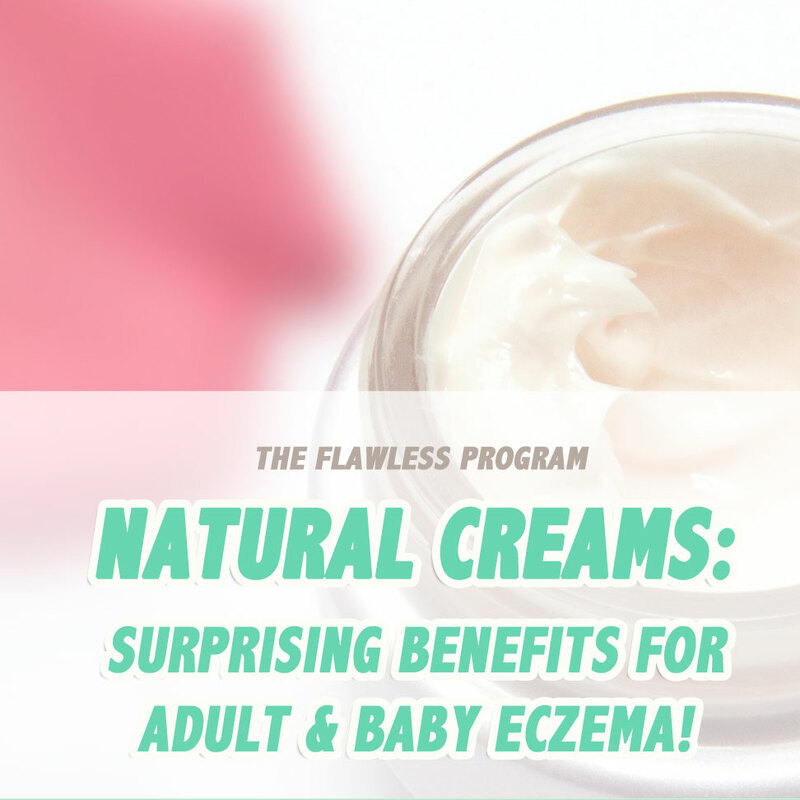 In this post I wanted to look at the surprising benefits of using a non-steroid, natural cream for adult or baby eczema, and how you can efficiently use these creams for eczema treatment, or to manage topical withdrawal symptoms. Also! … Since a lot of you have asked for what brand or type to use for your eczema, if you scroll down to the end of the post I give suggestions for natural creams that I researched and recommend. Before we get started, it pays to remember that eczema is closely tied to diet and gut health (read more about the Gut-Skin Connection here), and is often a symptom of something wrong inside. However, if you or your young one is ALREADY taking steps to heal your gut, and just want to manage temporary eczema or topical withdrawal symptoms, then using a natural or non-steroid cream can be an additional tool with wonderful benefits! One of the biggest issues with using topical steroids for an extended amount of time, is that they have the ability to ALTER and ADDICT the skin, changing the natural way that it operates, and possibly inducing more eczema. Steroid creams also have the possibility to leak into your bloodstream, making them dangerous for babies if you’re a pregnant mother nursing! Suffice to say that you definitely don’t want to keep using these creams. If you’re looking to treat your eczema long-term, then you’re better off with a non-steroid cream, that doesn’t contain artificial drugs. Most non-steroid creams are safe, especially those containing only natural ingredients such as herbs and plants. These don’t have addicting properties and are generally safe for your skin. As eczema tends to last more than just a couple of days, you need to be careful about what you use on your skin long-term. If you’re looking to treat your eczema for a longer period of time, then choosing a non-steroid cream might be better. In a controlled pilot study, a non-steroid product was tested in comparison to Hydrocortisone Butyrate (a steroid cream) for healing eczema in Italian adults who were affected. Each was assigned to a non-steroid cream or the Hydrocortisone, and analyzed at different periods of time, to check for improvement. During the 12-week study, researchers found that while the eczema treated with the Hydrocortisone cream went better in the beginning, only the non-steroid cream showed significant clinical improvement at each point in time. From the research concluded, the non steroid cream demonstrated effective and can be used with success in long term eczema treatment! It’s well-known that young babies and children often develop eczema, and are immediately put on some type of steroid cream. However, this can be inefficient and even a bit scary, as you risk your young one’s early addiction to the drugs in the cream. For concerned mothers out there, recent research shows that using a non-steroid cream may be just as effective and most importantly, safe. During a 6-week double blind phase, 186 infants with mild to severe atopic dermatitis, were assigned to use a non-steroid cream, twice daily. At the end of the phase, researchers found that 54.5% of infants who used the non-steroid cream, were clear or almost clear of atopic dermatitis, and that there was no differences in skin reactions or infections. These results offer the prospect of effective long-term eczema management with non-steroid creams, and may reduce the need for future creams! The worry that most people have when they quit steroid creams, is that they will suffer from topical steroid withdrawal symptoms (itchiness, reddened skin, induced eczema flare-ups). Understandably this makes it difficult to stop steroid creams cold turkey, especially if you can’t take a break from work or family. If this is your case, then using a natural cream might help you to make the switch. 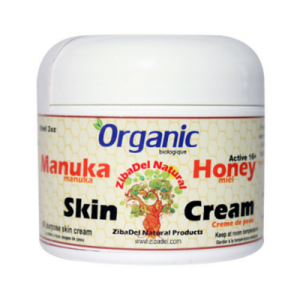 A natural cream can help to reduce topical steroid withdrawal symptoms by soothing the itchiness or eczema flare-ups. It can also help your skin to easier adjust, rather than quitting all kinds of creams cold turkey. 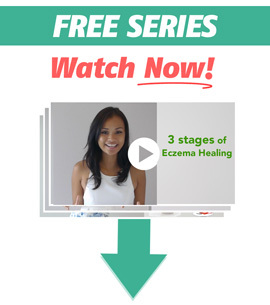 Because natural creams are incredibly beneficial tools (with no addicting properties or steroid-cream side effects), I wanted to give you some options that you can use to heal your eczema, along with a healthy gut diet! If you haven’t already guessed, I’m crazy careful when it comes to putting things on my body and skin, and I don’t recommend things unless I think it would really help! Keeping that in mind, I went on a search to find natural eczema creams for the 2 main types of eczema: dry (cracking, scaly, rough, hard) and wet (weeping, fluid filled blisters, hot). These are brands and companies that I personally researched and that you can use along with a gut-healing diet to heal your eczema. If you’re on the 30-day reset, feel free to use any of these for your type of eczema, along with the program. 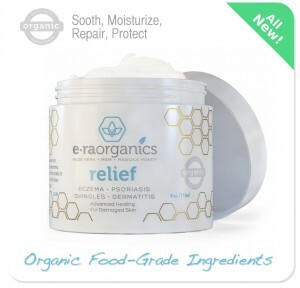 When researching for 100% natural eczema creams, I came upon one I never saw before: Era Organics Relief cream. Era Organics are a family-owned company based in California, with their products made in the USA. Era Organics uses science and nature to develop their products: 100% natural! Below is a better description from Tyler Chase: one of the creators of Era Organics. I had a back and forth email exchange with Tyler, and he was extremely helpful and genuine in giving me more information about how the cream works for eczema. “We developed Relief with sensitive, damaged skin in mind. Relief provides all the different nutrients your skin needs to achieve optimum health and restore it’s natural 5.5 PH balance. Rather than temporarily soothing your skin, it absorbs to the base of your skin and helps restore its immune system and ability to heal itself while also stimulating new, healthier cell growth. Since there are no greasy ingredients, it doesn’t clog pores and absorbs without any residue. It also has natural anti-aging properties since it strengthens the skin, improves elasticity, increases collagen production and protects from damaging free radicals. You can find Era Organics cream on sale here on Amazon. The reviews are amazing and they also offer a 60-day money back guarantee. It’s seriously worth a try! Best for: dry eczema, scaly eczema, rough eczema, itching eczema, damaged skin, psoriasis. Interestingly, I found it hard to find 100% natural creams SPECIFICALLY for wet and weeping eczema….until I remembered The Eczema Company! The Eczema Company is run by Jennifer Roberge: a “mompreneur”, who’s knows a lot about eczema as she battled it with her son. I thought of the Eczema Company for weeping eczema creams, as they have a wide variety of skin-friendly products. 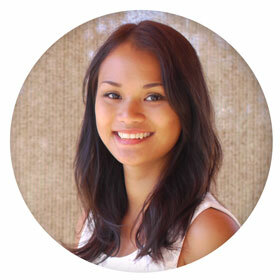 “The tricky part about eczema is that there is no one miracle skin care product that will work for everyone. So, even if you consider yourself as having weeping eczema, you still have to find the product that works for your specific case of weeping eczema. Based on customer feedback, below are 3 of the most effective natural treatments we have for red, inflamed, weeping skin, which we call angry skin. Each one of these products is great for fighting topical bacteria, which constantly plagues eczema. They can be melted down for use as a scalp treatment for seborrheic dermatitis as well. 1. 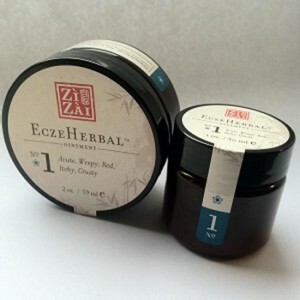 EczeHerbal #1: Features Chinese herbs in an olive oil based ointment. It was formulated to treat what is known as “damp heat” in Traditional Chinese Medicine. 2. Emily’s Hot Skin Soother: Contains a blend of calming herbs in a sunflower oil based balm. Best for: weeping eczema, adult weeping eczema, weeping skin, inflamed eczema, wet eczema. Everything for Eczema is a UK based company that specialises in….well everything for eczema! They have a wide range of eczema products, including clothes, wet wraps, and a number of natural eczema creams. “For dry eczema I would go for the Skin Salvation Balm as it is full of natural oils to help replenish the skin and helps create a barrier to stop more moisture loss. Beeswax – a natural emulsifier, provides a protective base and keeps the skin moisturised. Safflower seed oil – excellent for sensitive skin. Hemp seed oil – extremely nourishing, moisturising, rich in essential fatty acids (EFA’s), which are often lacking in those dry skin. Tincture of nettle – rich in vitamins chickweed – rich in vitamin c, iron, calcium, potassium. Tincture of calendula – for tissue regeneration. I was really impressed with the ingredients, and I agree that when you have really dry eczema skin, using an oil-based moisturizer is much more efficient than water-based ones, as it better seals in moisture. If you have really dry, rough eczema and are looking for something 100% natural, I recommend this balm! Check out Everything For Eczema and purchase the Skin Salvation Balm here! Using a non-steroid or natural cream can definitely help your eczema, but it isn’t magic. I cannot emphasize the importance of proper nutrition enough! If your diet is full of inflammatory eczema triggers and toxins, your eczema may never get better — regardless of the cream you use. Natural creams can help you manage the eczema breakouts, but finding your eczema triggers, and taking steps to heal your gut and immune system, will help you to keep it off long-term. Talk to your nutritionist about what you can do to improve your overall gut health. 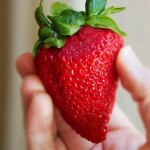 If you’re a Flawless Program member, then a natural cream can be a beneficial tool along with the 30-day reset program. 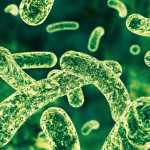 Do you have any questions on gut health or do you have any non-steroid, natural creams to recommend? Have you tried any of the creams above and did they help your eczema? Let me know in the comments below! Oh thank you so so much for your work! You’re very welcome! Hope it can help you find relief! Thanks so much for the tips! I think we when have something to share, we have to share and it was really nice from your part to prepare a post with a lot of useful informations. Thanks for the list of creams! I really want to try some! I use Calamine lotion to help calm the itchiness. For moisturising I just use jojoba oil. I am gluten and refined sugar free and that helps a lot! I have gone through 3 cycles of steroid withdrawals after years of using it on and off, and it is only a small amount of eczema left on my arms. I know if I can do it, everyone can too! sea salt is also very helpful make a bath with sea salt, extra virgin olive oil, and applecidar vineagar in luke warm water pat with towel and air dry. YOU MUST TRY “BEE23” PRODUCTS!!! I have been struggling with adult wet eczema for nearly 10 years and nothing has helped me but BEE23’s Normal to Oily 100% natural moisturizer! YOU MUST TRY IT IF YOU HAVE WET OR DRY ECZEMA!!!!! …It has saved me. I put it on clean dry skin three times a day because I’m ADDICTED. I never leave the house without a thick layer on to protect my skin from the harsh cold and pollution. Hi! This is a great post! I have excema on my face and lips, while changing my diet has helped clear up my face my lips are still quite dry and easily irritated. I have been using a steroid hydrocortisone prescription cream for the last several years because every time I try to stop using it I get a really intense flare up. Any suggestions for products that would be good specifically for the lip area? Thanks so much!! Thanks for the article could you recommend any natural shampoo and conditioner for ppl that have very dry scalp bec of the eczema … I will appreciate your suggestions!! My 1 year old had eczema on her face since 4 months. I would like to know which of the creams you listed above are suitable for 1 one your old?